Entrance to facilities management. No public access. 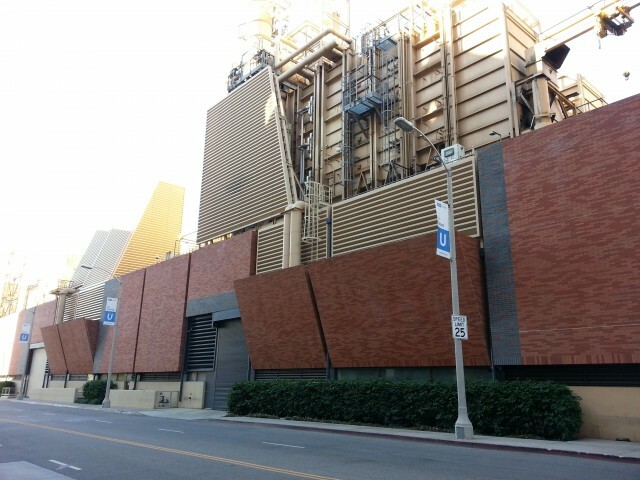 UCLA's very own power station and water heater. 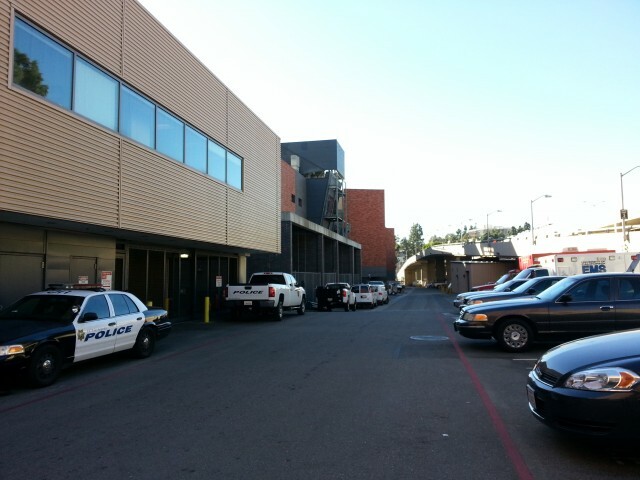 This building also houses facilities management offices and maintenance vehicles.